Flappy Bird Family: Flappy bird is a simple and addictive game which got lot of attention and went viral on the go, After a short gap its developer Dong Nguyen has launched the new Flappy Bird Family game on Amazon App store and for now the game is only available for Amazon Fire TV. 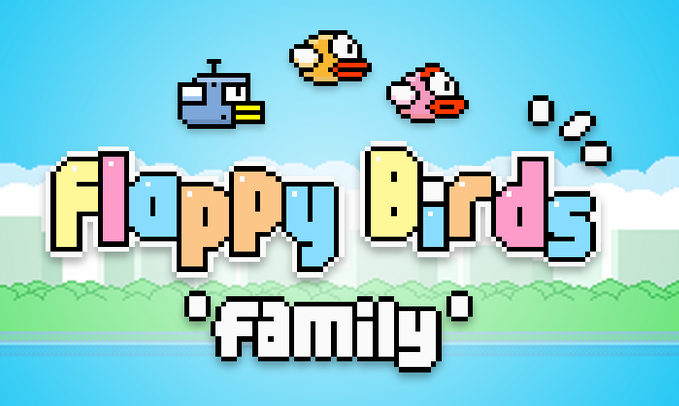 Flappy bird family is a multiplayer game where you can play with your family members or friends on your Amazon fire TV. This new Flappy bird game features a series of Mario pipes and ghost as obstacles. In the previous version of Flappy Bird we have to tap on the screen to make the bird fly to avoid obstacles ,the more you tap the higher inorder to avoid the obstacles and it totally depends on when you tap when you don't. The new Flappy Bird Family resembles the same Game play as that of the previous Version but the controls are little different here, we click the Buttons on the Game controller or Amazon Fire TV to make the Bird fly. The multiplayer game mode of Flappy bird is 'Person to Person Type' where we can challenge our opponent on the split screen of Amazon Fire TV's. Both the opponents race against each other to see who last's long or who scores more. It really feels bad to say that Right now but this free game is only compatible with Amazon fire TV only, But it has not been officially announced so,Lets Hope it launched on other platforms. 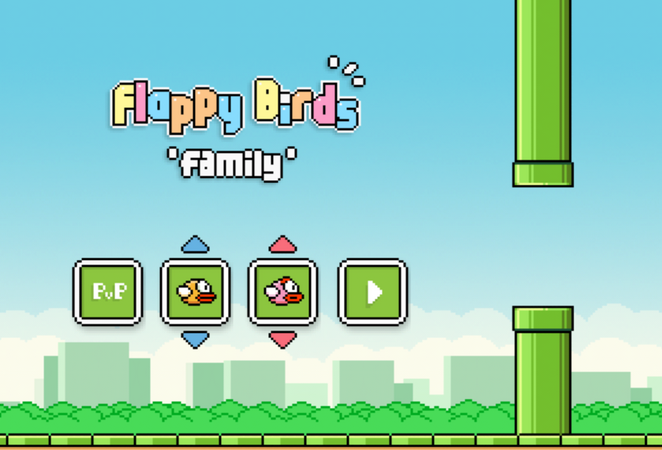 You can follow this guide here to download flappy bird family for Windows PC and Mac.